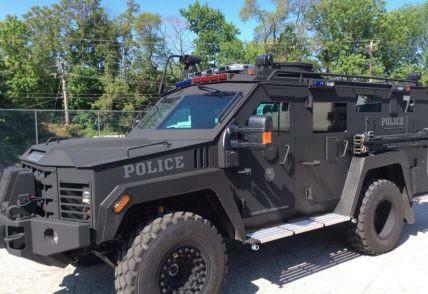 BearCat SWAT vehicle. Photo: Haverford Police Department Twitter account. As controversy swirls over the militarization of law enforcement in the wake of Ferguson, and as the Obama administration announced yesterday an initiative to improve America’s trust in policing, Delaware County officials are stubbornly pushing against national headwinds. Back in November, our contributor Austin Nolen wrote about the saga of his request to Delaware County for documents about an armored SWAT vehicle, called BearCat, which the county recently acquired with a FEMA grant. County officials denied the request, and the Office of Open Records, the administrative agency which hears records appeals in Pennsylvania, ordered the documents be released, finding that the county hadn’t submitted any evidence in support of its position. The county has the option to go to court to appeal the administrative decision – and that’s just what they’ve done, filing a lawsuit in the Court of Common Pleas for Delaware County. Further details cannot be shared at this moment, but we will cover the court case as it proceeds. The petition Austin was served with is included below. Stay tuned.